My mechanic was awesome, even brought me in the back to show me what he was going to do and why he needed to do it. I am very pleased. I had taken my truck to pep boys to see why it wouldn’t run right ad they said it needed a timing chain kit put on. So they did it and it still didn’t run right after taking all day. 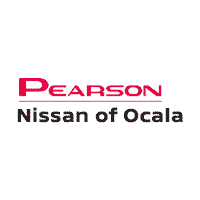 So I decided to drop in to Pearson Nissan since it is a Nissan and get it checked out. Turns out the mechanic over at pep boys did my timing wrong and it was 2 teeth off of where it should have been, got that set right with my Nissan mechanic and truck runs like a champ. Service is great Thank You!!!! The employees are great here and make sure to treat you like a priority. I’ve gone here to get locks taken off of my tires and replace a tire. The customer lobby is nice, the building is very clean, and they washed my car after servicing. Kind of expenseive, but worth the price in my opinion. Service is always timely and professional. I love u guys. Tim Maggione. Also, my service pro Issac was as sharp as a tac. George was truly amazing. I had an appointment with Isaac at 9am and upon arrival I was notified Isaac had to leave to a medical appointment and unfortunately, I was left pretty much hanging. I approached George who appeared to be extremely busy but yet he took the time to assist me in a very professional manner and with the utmost respect and patience handled all warranty issues with my new vehicle promptly and efficiently. 2 thumbs up!! Whether you’re looking for an oil change near Ocala or something more major, our dealership has you covered. With amenities like complimentary Wi-Fi, snacks and refreshments, we’re ready to deliver top-notch service to our Gainesville, FL and Leesburg, FL drivers. With our online appointment tool, you can even schedule your vehicle’s service from the convenience of your mobile device. If your Nissan needs its brakes serviced or a wheel alignment, we can handle it.